Combined loupes and light source. This great value for money package offers a powerful illuminatio..
4x variable focus. Available with sport (pictured) or spectacle frame. Loupes and frame provid..
2.5x variable focus. Available with sport (pictured) or spectacle frame. 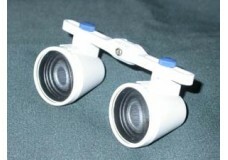 Loupes and frame prov..
Lightweight, bright lightsource with fittings to suit the majority of loupes available. 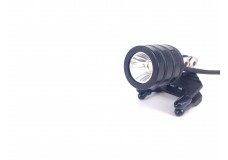 Brightness a..
Lightweight, versatile, battery operated and powerful clip on light attachment.[Discontinued].. If you wish to enquire please fill out the form on our enquiry page.